Christina Matheson, wife in 1896 to Archibald Fraser Jnr. Her mother shows as Catherine Ross. 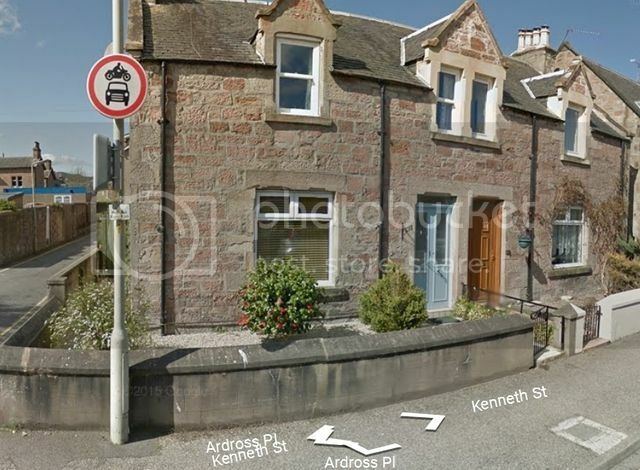 Maybe that is the link to the Ross family and Isabel, Lodging house keeper at Glenbeg Cottage, Kenneth Road? Kenneth Street, looking towards the Cathedral twin towers. "Glenbeg" is the house on the right with lamp standard at corner of the garden wall. The white door has twin panes of glass. "Glenbeg", 1 Kenneth Street. (Sign barely legible in this photo says "Glenbeg"). 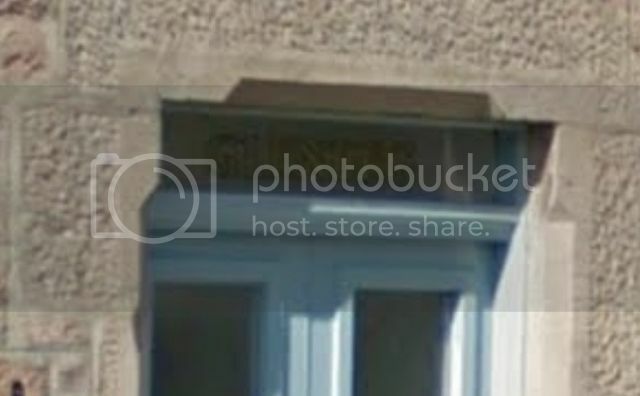 If I were you, I would chap at the door tomorrow and ask the occupants if they had any history of the previous owners. They may have a copy of the deeds? If they are Invernessians you may even get a cup of tea and a wee biscuit! 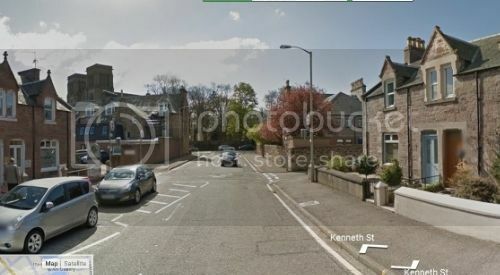 It's not too clear and one might mistake it for "Glenelg" rather than "Glenbeg", but if you Google "#1 Kenneth Street, Inverness............"
So glad you & Monica have the correct details for Sen now...............great for his album as it adds colour to the story & of course the name which Monica kindly showed on the cert. You are fabulous! We were in such a rush we picked the wrong wife and that threw everything out of synch. We've spent today visiting areas where family lived and have even more questions for the archives tomorrow. We can't thank you enough.